​It's time to add a little "SPRING" to the step. Kick ACHES and PAIN to the curb. ​And give that GUT the nudge it needs. Space is limited. Join us today! Enjoy better health, higher energy, and enhanced performance through this safe and efficient method of adjusting the spine. Massage has proven benefits to all systems of the body. Whether you seek massage for relaxation to relieve stress and anxiety, or you are healing from an injury and need pain relief and improved mobility, we provide massage that is tailored to meet your needs. Foster deep relaxation and healing by balancing the flow of energy in the body through this gentle, hands-on technique. Fall Schedule Coming Soon . . .
Fall Dates Coming Soon . . . Learn the simple and powerful therapeutic technique of Reiki to foster deep relaxation and healing. 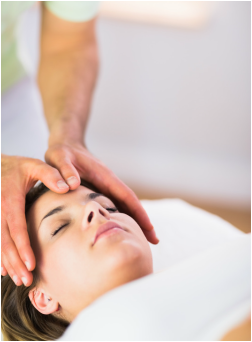 Develop your ability to better care for yourself and others through our comprehensive Reiki training. Instructors, Bradley D. Craig D.C. and Patty Craig M.Ed., are both Holy Fire Karuna Reiki Masters, trained through the International Reiki Training Center. Beginning and Advanced level classes offerings. Registration is underway.